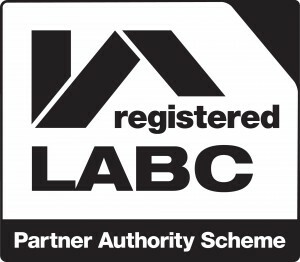 Great news – RPC Design & Architecture are now registered with the Local Building Control Authority Partner Scheme. This means we can submit building regulations applications quick and easy online, saving on printing costs and time. The saving which we pass onto our clients. This scheme helps to simplify and speed up the building process generating substantial savings in time and money. • A dedicated professional building control surveyor from the preferred local authority becomes part of the design team to offer advice on all projects no matter where they are in the country. • The design team approach ensures that any issues can be resolved early in the design process and will eliminate the need for expensive corrections later in the construction phase. • The single point of contact provided through this scheme results in a consistent approach to plan appraisal. • Any local conditions, site specific information and necessary consultations are investigated on behalf of the client. In summary, clients benefit from a single point of contact, consistent approach, improved pre-application service and still benefits from local knowledge, excellent liaison with other services such as Fire, Police and Environmental Health. We will be using the LABC Partner logo on all our marketing material so other professionals can identify our streamline approach. 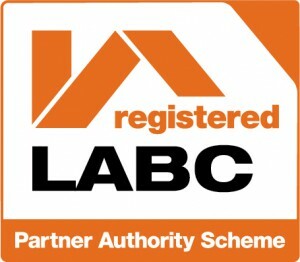 Contact us for a free, no obligation chat about your building regulations application and how we can help.